As someone who would rather rely on Seamless than cook for myself, I just gained a newfound appreciation for Rob Kardashian. 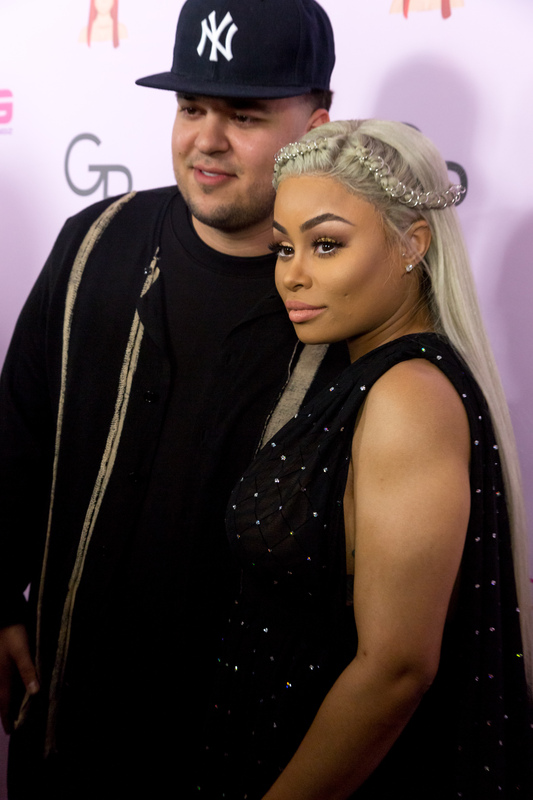 That's because during a Facebook Live Q&A with his fiancée, Blac Chyna, Kardashian revealed how much he spends on delivery food to satisfy Chyna's pregnancy cravings. He really goes above and beyond. From Philly cheesesteaks to P. F. Chang's, he's dropping major cash on food. Not to sound gluttonous, but that makes him Fiancé of the Year material, for sure. In the interview, the couple revealed that Kardashian orders for Chyna on a daily basis. Instead of going out to pick it up or grocery shop, he opts for delivery. Chyna pondered aloud, "I wonder how much is your Postmates bill. It’s probably ridiculous." You're probably guesstimating a few hundred bucks, right? Wrong. Kardashian replied, "I think one month, it got to like, $13,000." That amount seems unreal — unless, of course, those Philly cheesesteaks were actually imported to California from actual Philadelphia. Regardless of whether that's a slight exaggeration, it sounds like Kardashian does everything he can to make sure the mother of his child doesn't go hungry. And what a wonderful world we live in that any food you want is just a click away on a convenient little app. If you skip ahead to the 4:55 mark in the video below, you can hear them talk about their food ordering obsession. Later in the Q&A, they're asked what they plan to do for the premiere of Rob & Chyna in September. Unsurprisingly, they say they'll probably cook and order food. If they order Postmates, something tells me Kardashian will just put it on his tab. At this rate, he's probably their number one customer. If this video is any indication, these two have some pretty sweet chemistry. And it's only a matter of time before fans will get to watch their dynamic way more often on their show. I'll definitely be joining the pair in ordering food and tuning in.